Practical constraints – such as the space, complexity, skill level, and storage in the on-board environment and within travel locations. The travelling customer – their approach to food, importance of service speed, and desire for the familiar – drawing on the findings of our Food Travel Experts research program through which we continue to build a deeper customer understanding from yearly qualitative research and three-yearly quantitative research. Market trends – recognising the impact that consumer and societal shifts in behaviour, demographics, technology and thinking influence trends in food and service. Food Trends – always alert to new product and flavours and translating these to meet traveller’s needs. Picking enduring trends from fads, breadth of appeal from the niche, an appreciation of product life cycle and commercial targets and business performance. 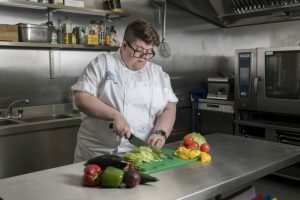 On-board service teams – with knowledge of delivering, product handling coaching, chef skills training, compiling food plating and presentation guides, compiling product briefings. Our chefs regularly interact at supplier and development innovation forums and maintain close working relationships not only with each other, but also our account teams and extended product management teams in brand management; customer experience; commercial, purchasing and supply chain. They use our dedicated test kitchen at the Heston Centre to create, develop and refine culinary treats. We believe it is beneficial for each client and account team to have designated culinary support. This approach means our chefs gain a greater knowledge and understanding of the client’s region, customer strategy and business objectives. Our chefs also develop an effective relationship with the account management, logistics and on-board service teams. 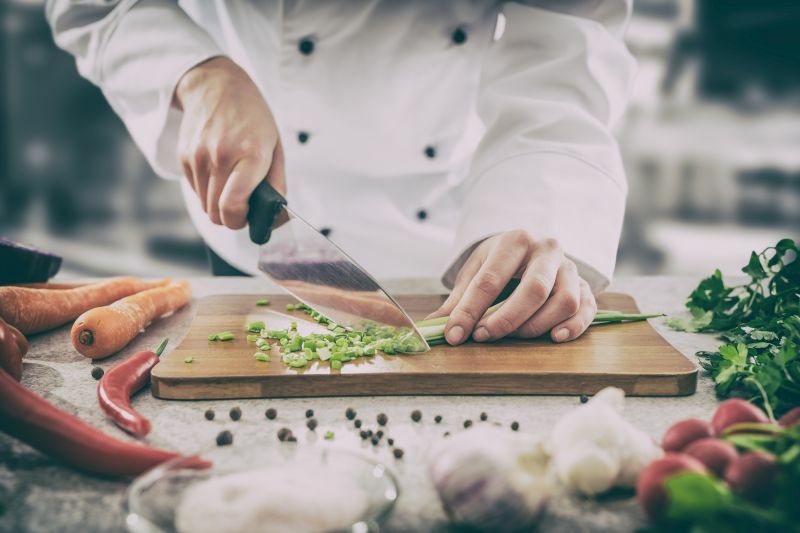 These relationships result in an open and mutually supportive relationship between development chef and on-board service team on all client accounts and improves engagement and contribution from the on-board service team into the final menu style. RG provides professional product development and innovation services. Our development team has extensive experience both in rail, and in the wider food and beverage travel marketplace, along with a passion for product development and innovation. We have the know-how and commitment to deliver change that improves the customer experience. Our proven development process has the flexibility to fully accommodate the specific and individual needs of menu and range selection and trolley, buffet, bistro, dining and complementary offers. The product development process ensures the planning and management of key activities and timelines, and ensures that all stakeholders are afforded the required touch points and approvals in preparation for a smooth implementation. Our product development process and timeline will be jointly owned by our designated development chef Jenny. They will liaise together and with all stakeholders for development and implementation activity respectively. We ensure each range change and menu refresh meets identified objectives by tailoring our plan to meet specific business requirements including training, safety, sign off, marketing, testing etc. 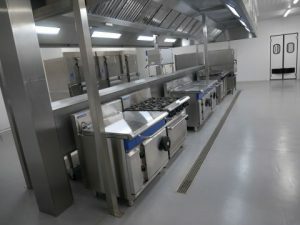 The standard process is set over a 20 week timeline and sets out all the necessary activities required for a six monthly range review including managing the complexity and production lead- times for bespoke equipment manufacture, branded or bespoke consumables, equipment installation/commissioning or significant rebranding. Dependent on the scope of change our timeline can be adjusted and shortened where a range change is less complex. The Heston Centre is the latest facility to join the RG family and will act as a Central Production Unit for both RG and SSP for London and later, nationwide. A strategically located 33,000 sq. ft. property close to Heathrow Airport, the Heston Centre allows us to offer a truly One Stop Shop Solution. The facility boasts stringent security measures and the application of up-to-date standards and technology in security and asset protections. Food safety is our top priority at Heston and we follow HAACP principles. As a distribution point, the Heston Centre has easy road access not only to all RG Service Centres, but also to major motorways and airports, making it an ideal gateway to Europe-wide distribution. Our Heston North Facility joined the RG family in 2018. Strategically positioned close to Edinburgh Airport, it serves Scotland and the North, and comprises of both a Production Unit and a Distribution Centre. A further facility to serve the Midlands is planned for 2019. Watch this space! These not only reduce food waste, but also deliver consistent quality and cost efficiency and are all methods well tested in the food industry. By preserving food by partially cooking to a very precise temperature and then vacuum-sealing and chilling, food remains fresher for longer. Not only does this lessen food waste, but it ensure consistency quality and taste every single time. Pasteurization uses heat to safely preserve food, reducing waste and extending life, whilst securing the quality. By modifying the composition of the internal atmosphere of packaging, lowering the oxygen content, shelf life is improved. Hot Fill is a packaging process where the product is highly heated before being packaged, whereupon it sterilises. Once packaged, the product is then quickly cooled, preserving the product for longer, and most importantly, the taste!